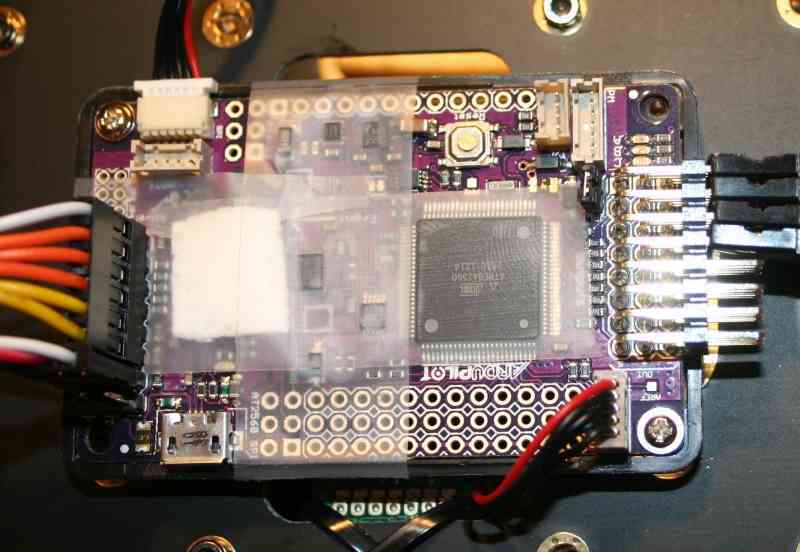 The APM 2.5 board requires no assembly, and is ready for firmware. You have a choice of side or top entry pin configuration, in order to accommodate a variety of installations. You’ll see this option when you order. 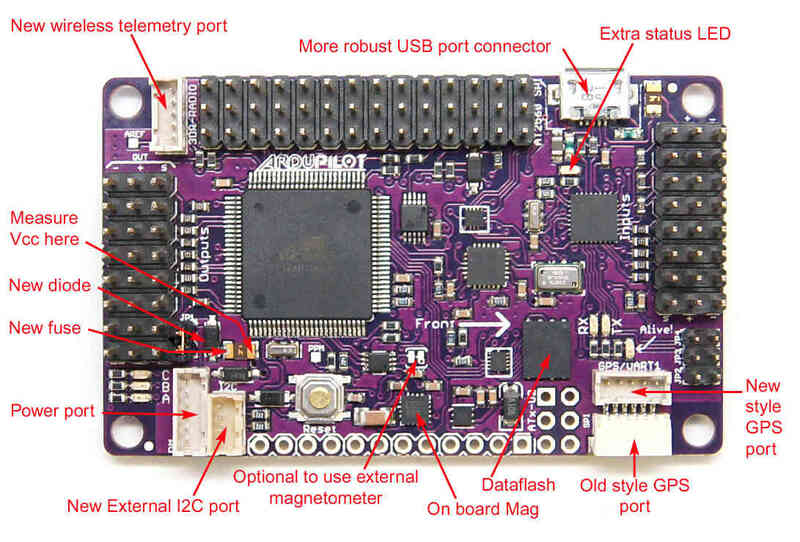 This page gives you a look under the hood, and goes into more detail about the design of this board. The APM 2.5 has some improvements over the APM 2.0, but they both have a very similar layout and function. APM 2.6 is a revision of the APM that makes use of an external compass. 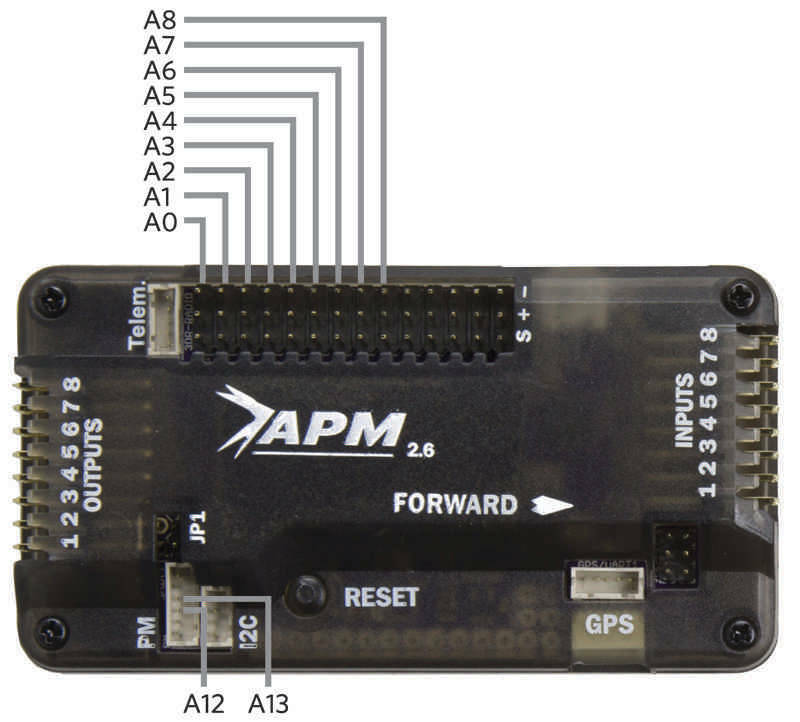 The APM 2.6 has no on board compass, and is optimized for vehicles where the compass should be placed as far from power and motor sources as possible to avoid magnetic interference. 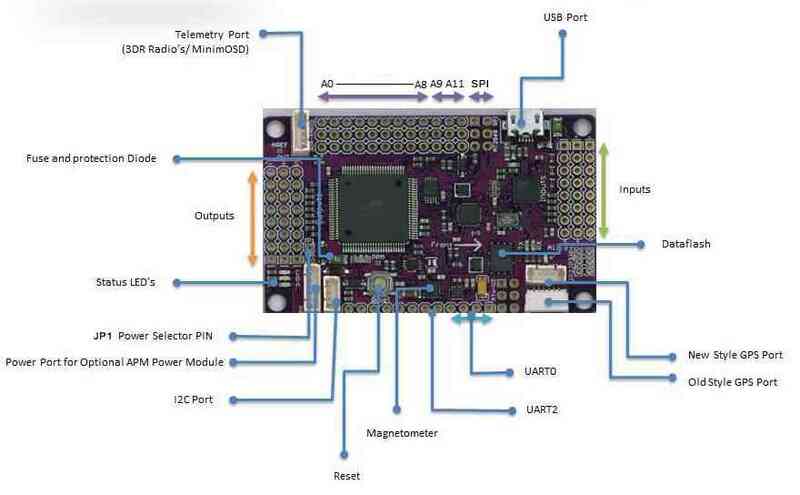 APM 2.6 is designed to be used with the 3DR GPS uBlox LEA-6 with Compass module. The GPS/Compass module may be mounted further from noise sources than the APM itself. 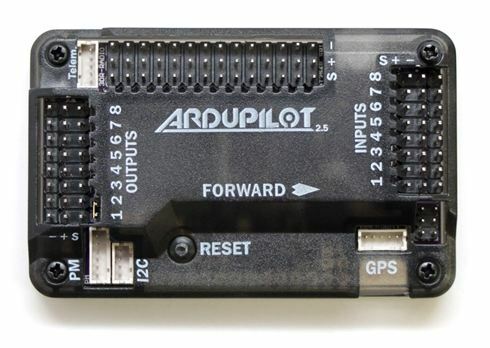 APM 2.6 requires a GPS unit with an on board compass for full autonomy. For information on installing a 3DR GPS uBlox LEA-6 with Compass, visit 3DR Power Module. The APM 2.5/2.6 board is shipped in an enclosure with foam protecting the barometric pressure sensor, as shown here. If you aren’t using the enclosure, make sure to cover the barometric sensor with some open cell foam, cotton padding or tissue to protect it from prop wash, wind and turbulence. Also, the barometric sensor is sensitive to light and readings can change by several meters from direct sunlight to shade. Some type of light shield (on top of the foam) will minimize the effects of light changes. 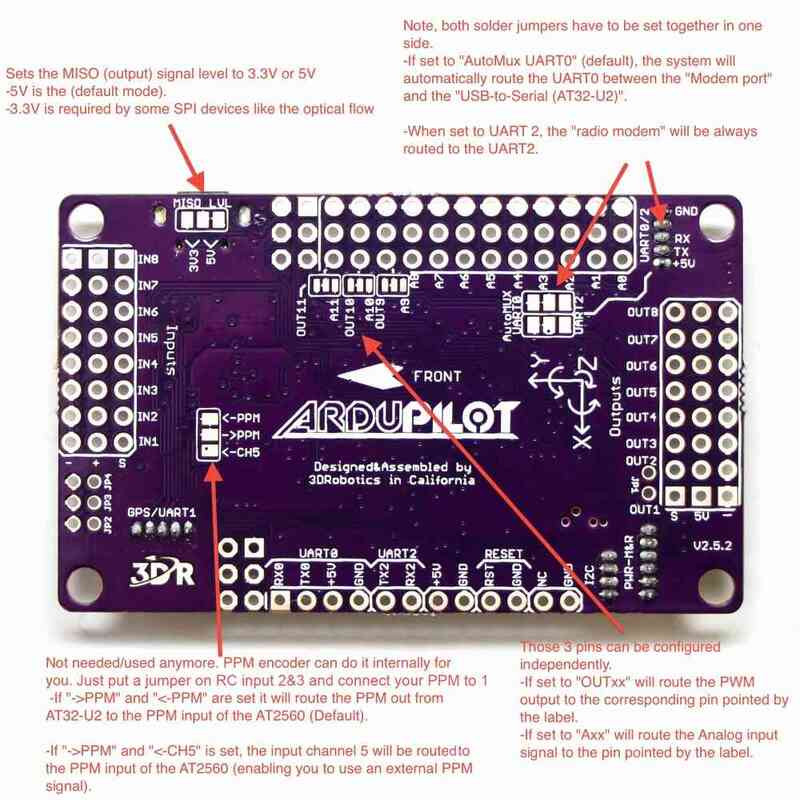 The most common way to power the APM2 is to use the 3DR Power Module. Detailed information on powering the APM and providing power to Servos is provided in Powering the APM2. 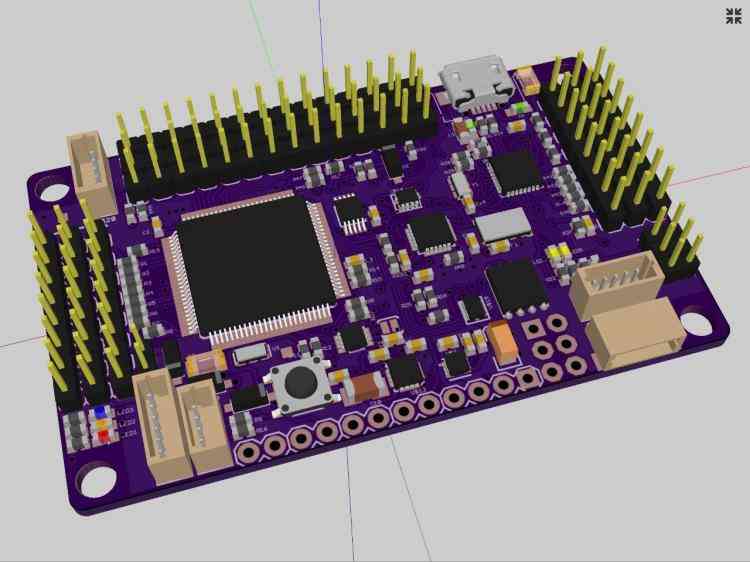 By default an Xbee connected to the APM2 will use UART0 (aka “Serial” in Arduino) which is shared with the USB as mentioned above. If you wish to instead use UART2 (aka “Serial3”) for telemetry you can change the “AutoMUX UART0” jumper on the bottom of the APM2. Although difficult to see, by default there are two small jumpers between the upper pads that must be cut with an X-Acto blade. Then a new solder bridge must be made to join the bottom pads. Pin 0 to 8: The APM2 has a row of analog input pins down one side, labelled A0 to A8 on the underside of the board. These are available as pin numbers 0 to 8 inclusive in PIN variables. All these pins can take up to 5V and may be used for any general analog input. They are commonly used for airspeed and sonar inputs. The APM2 uses the same set of 9 analog input pins as digital output pins. They are configured as digital output pins automatically when you start to use them as digital outputs. Pin 54 to 62: You need to add 54 to the pin number to convert from an analog pin number to a digital pin number. So pin 54 is digital output pin on the A0 connector. Pin 58 is A4 etc. These pins are usually used with the RELAY_PIN to RELAY_PIN4 parameters, allowing you to control things like camera shutter, bottle drop etc. They are also used as sonar “stop” pins allowing you to have multiple sonars and not have them interfere with each other.